Joint Admissions and Matriculation Board, JAMB Promises to Sponsor Tewnty Two  UTME Candidates with Biometric Issues / Registration Challenges for an Examination in Abuja for 2019/2020 Academic Session. 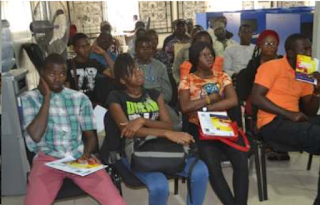 No fewer than 22 candidates with biometric registration challenges would sit the 2019 Unified Tertiary Matriculation Examination (UTME) at the Headquarters of the Joint Admissions and Matriculation Board (JAMB), Abuja. This is against the 24,490 number of candidates whose examinations were rescheduled on account of biometric verification challenges in the 2018 UTME. Capturing candidates' ten fingers during registration is a vital component in the processing and documentation of the UTME and Direct Entry registrations. All candidates taking the UTME must be verified using their ten fingers at the point of registration. No candidate would be allowed into the examination hall without first being verified. It is part of the screening mechanism to prevent impersonation. Before the commencement of the 2019 registration exercise, the Board made it clear that it would not reschedule examination for any candidate on account of biometric challenge. Any candidate, whose fingers could not be captured during registration at the CBT centre, must visit JAMB Headquarters for his/her registration. This measure has reduced drastically the number of candidates with biometric challenges. Out of the 52 names sent to the Board's Headquarters from the states, only 22 showed up for registration despite the fact that the Board would be responsible for their transportation to and fromAbuja. The 22 candidates that presented themselves for registration were registered successfully. The interface between the ITS staff and the candidates unraveled the misery behind their inability to be captured during their initial registration experience. At a meeting shortly before the commencement of the registration for the affected candidates, the Director, Information Technology Services Department, Mr. Fabian Okoro, told the candidates that the Board had to introduce this strict measure to find a lasting solution to the large number of candidates with BVM challenges. He noted that the move was to prevent fraud associated with failure of biometric capturing. The Director noted that some unscrupulous elements had abused this window perpetuate examination malpractice considering the large number of candidates that were recorded yearly and the cost of rescheduling examination for such candidates in the past. Mr. Okoro disclosed that the Board decided to find a lasting solution to the problem by inviting candidates with peculiar problem of biometric capturing to the Headquarters of the Board for capturing and they would also take their examination at the same venue. With this new resolve, the Board has been able to stop all fraudulent biometric cases.